My family and I traveled to Disney World back in June, and I hadn’t been there even half a day before I started feeling inspired. For me, school is pretty much always on my brain, so it’s not surprising that it came to mind even when I was on vacation! But, truthfully, there is so much going on at Disney that I couldn’t help but learn from the best while enjoying my time at the happiest place on earth. Many of these things that I noticed at Disney reaffirmed what I’ve done in my classroom for years, but it’s nice to review, revisit, and recap. Here are five ways my trip to Disney helped me get prepared for back-to-school this August. 1) You can have a happy place and still have rules. Disney is known for being “the happiest place on earth.” So how is it possible that the happiest place has rules? Oh, but they do. They want you to move left, stay inside the tape, stand in straight lines, keep your hands and feet inside, etc. Why do they do this? So people are safe and get to do what they came to do. 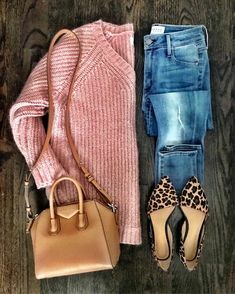 In turn – happiness. They aren’t unreasonable rules and requests at all. However, don’t most of our students – and maybe even the public – think that rules are just for fuddy-duddies who want to put a damper on all the fun? I, for one, believe in establishing rules up front so that it’s clear what the expectations are. I don’t like to make rules that are arbitrary and just have a bunch of rules just for the sake of having rules, but there must be a set of guidelines. 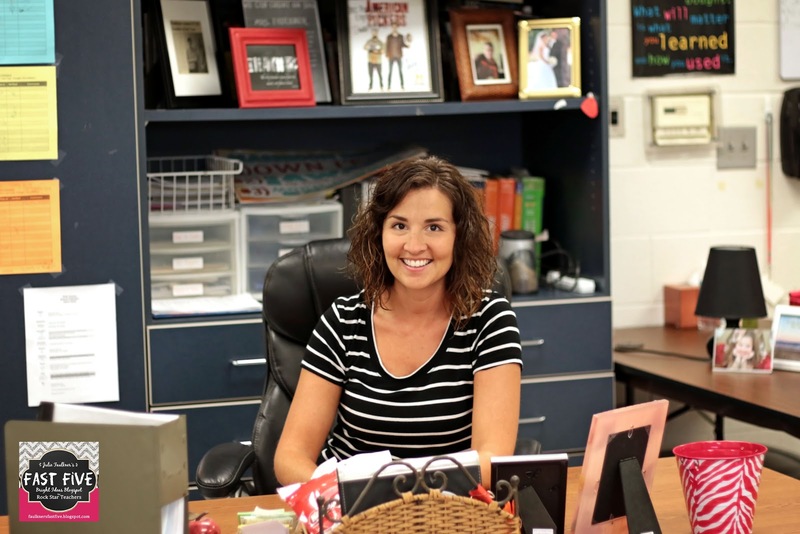 In my classroom I typically select 3-5 overarching rules that serve as my classroom expectations – and that are good rules to live by as well. Too many rules, and all you’ll be doing is enforcing rules, but if you don’t have some rules to control the chaos, the chaos will control you. Mrs. Faulkner Rule #1: Own it and stay in your lane. Mrs. Faulkner Rule #2: Be aware of your surroundings. Mrs. Faulkner Rule #3: Make a way, not an excuse. You might notice I don’t have rules about gum, food, phones, etc. Now I do talk about these specific items on the first day. Check out my fun Classroom Rules Emoji Puppets for doing just that! I’ve learned if students are following those governing guidelines above and if I’m doing my job of actively teaching and facilitating each period, we can have a successful and happy place. 2) Schedules, plans, routines, and structure are necessary for things to run smoothly, for things to get done, and for everyone to feel good about it. Disney has everything planned down to the minute, and there is very, very little interruption to the plan. If you think about how much they have going on to make the parks the happiest places on earth, it’s critical to establish and maintain routines. They have a plan for shows, parades, buses, rides, fast passes, rain delays, and more. They even publish specifically when and where the characters will appear. Now think about how much we have going on in the classroom: attendance, lunch count, signing field trip forms, turning in lesson plans, differentiating, signing devices on the wi-fi, providing make-up work, collecting homework, passing out tasks, assigning groups, scheduling conferences, RTI, passing out a Band-aid, and on and on. Imagine if there were no plan for how to take attendance or how to pass out papers, etc. It would be chaos, kids would know you had no plan, and you wouldn’t get anything done. I am probably an over-planner or over-scheduler, but I do have a plan for every minute of my class period, every day of the week, and even an extended plan for the month. I have routines for turning in papers, passing out papers, getting in groups, and so forth and so on. Now, no plan, routine, or schedule is any good if no one knows what it is. That’s why Disney has the published pamphlets up front each day and even an app. 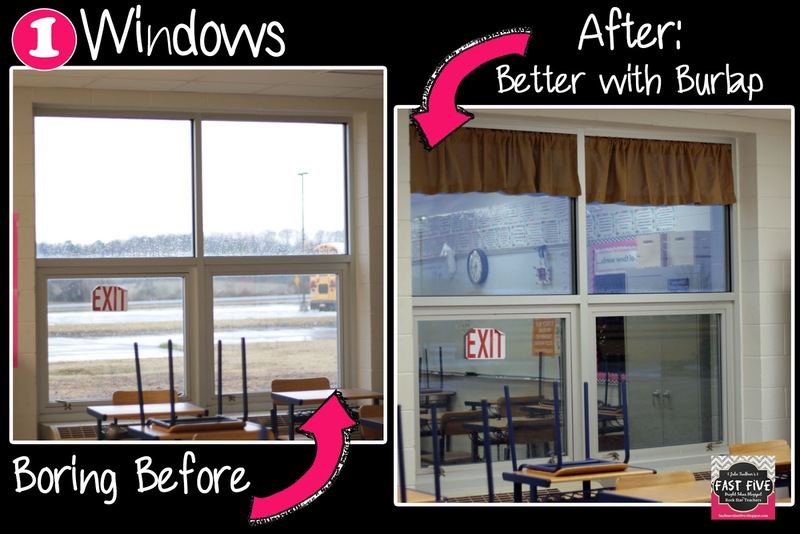 The first few days of school, I talk about my classroom routines and schedules. We even practice, so they know what to expect. Some may argue that it takes up precious time at the beginning of the year, but it SAVES so much time later on. Plus, I just work them into what we are doing so that it feels natural. Each week I write the daily schedule on the board, and each day, I go over the daily plan with students before we start the lesson. We are all on the same page that way and can get moving. 3) Kindness and smiles matter. There are so many opinions about whether or not to smile at students right away or be overly kind to them. I would even say that my own opinion here has evolved over the years. The people who work at Disney wear a smile as part of their uniform – and maybe they are just genuinely happy to be there. I mean, if I were a Disney princess instead of a high school English teacher, then maybe I’d be all smiles all the time, too. But I chose to be an English teacher – I want to be there. So why wouldn’t I let my kids know that with a smile? So can you be kind and smile AND maintain a professional image and relationship with students? 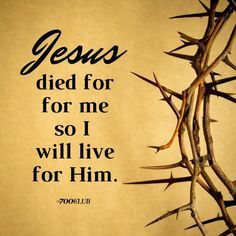 Absolutely – yes. I am 100% not my students’ friend – not in any way, shape, form, or fashion. That doesn’t mean, though, that I can’t – or won’t – be kind to them. That also doesn’t mean that I have no classroom management either or that I’m crossing any lines or that I’m not stern or won’t correct them. Believe me, I have plenty of lines drawn. Kids of all ages crave kindness, and for the 90 minutes that I have them each day, I need to find ways to show kindness. And going back to the idea of really wanting to be there – I do and I like to see kids learning and hear what they have to say. That makes me smile. They make me smile. So from the first day of school to the last, I greet them at the door and smile. I say please, thank you, and great job, and I really mean it. Smiles are contagious – give one and get one! 4) Have a grand finale, but start with the fire fingers. The best closing show at Disney this year, in my opinion, was the Fantasmic show at Hollywood Studios. I loved all the closing and opening shows at all the parks because Disney doesn’t ever do anything halfway, but the HS park show had several things that really spoke to me in terms of back-to-school. If you’ve seen the show, you know that it opens with lights and music – it’s the best and biggest lead at any of the shows, and so you are expecting something really, really great. Then up from a mountain on a stage far, far away pops up a teeny, tiny Mickey. Granted, it was a live Mickey and not a projection or puppet, but he was so, so small. I guess I was just expecting more. Then several minutes of almost nothing go by and out of nowhere, he starts to dance and shoot fire from his finger tips!! That is a new level of spirit fingers, folks! Immediately, I was in. Why didn’t they start with that? Why didn’t they start with the fire fingers? The lead in was good and it got me interested, but then it was a huge let-down – until minutes later when Mickey whipped out those fire fingers. 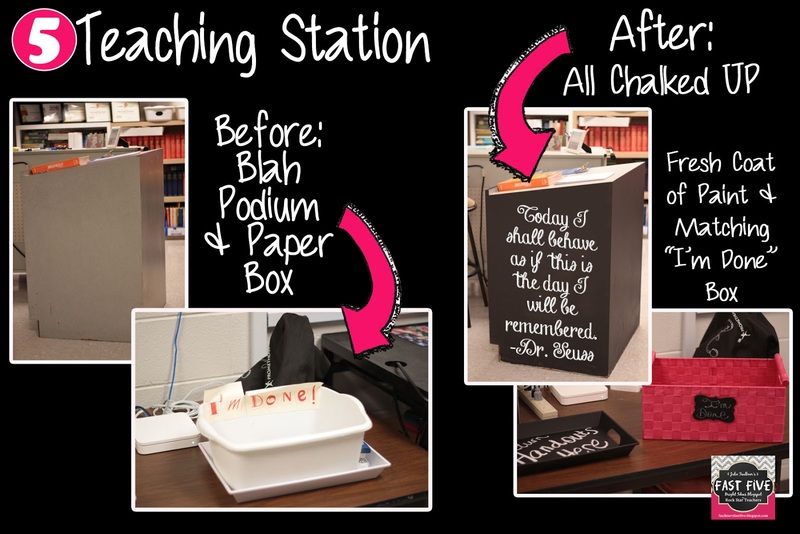 When I think about applying this experience to my classroom this year, I was reaffirmed that I must start and end the lesson with something great to get my students’ attention. It certainly won’t be fire fingers every time – or ever LOL! – but it needs to be relevant to activate their learning and draw them in – and keep them in – before I lose them. The law of primacy and recency says you remember the best whatever is at the beginning and ending. I’ll carefully plan bell ringers this year and exit tickets with specific purpose and pizazz so they aren’t just a waste of time or means to an end or a way to check a box. For me, that will look like carefully chosen daily grammar practice because my junior and seniors have ACT on the brain. For yearbook, it will be inspirational photos and team building tasks. To end, I’ll be sure to have students review the lesson and make their own connections. The beginning and end really do matter and make meaning. Every day won’t be “on fire” – that’s just going to be a reality – but this reminded me I do need to bring it to the best of my ability day in and day out. 5) Keep the focus and purpose in mind. I went to Disney with my family and two nieces – nine and three. The girls are super familiar with most Disney characters, and those we knew they weren’t interested in, we didn’t spend much time at. But there was one show we went to and about half way through, my three-year-old niece asked, “Who is that?” We all knew who it was and hadn’t even thought that she might not know. At that moment I realized that might be how our students feel when we present knew material to them. Sometimes we take for granted they know it. Because I have a very tight schedule, I can’t afford to spend time teaching material they already know, but I also can’t afford for them to be lost and have to rush and make it up later. So, at the beginning of the year, I always give a pre-test of 100 words that every high school English students should know. These are words from the CCSS, standardized testing words, and other words that are specific to English. Also, it’s really important to share with students the purpose of the lesson or activity for the day. They need to know why they are learning it and how it connects with the larger purpose. I usually explain it so explicitly to them so that they could tell anyone who comes into the class period to observe or anyone they talk to after class. At the end of the day, Disney is in the business of making dreams come true. But we teachers are, too. In fact, the biggest of dreams are in our hands. What an honor and privilege to have that role in someone’s life. As I prepare for my 2018 school year, I want to make as much a magic in my classroom each and every day that I possibly can. Here’s to a “Soarin’” kinda year, and not a “Hollywood Tower of Terror” kinda one! 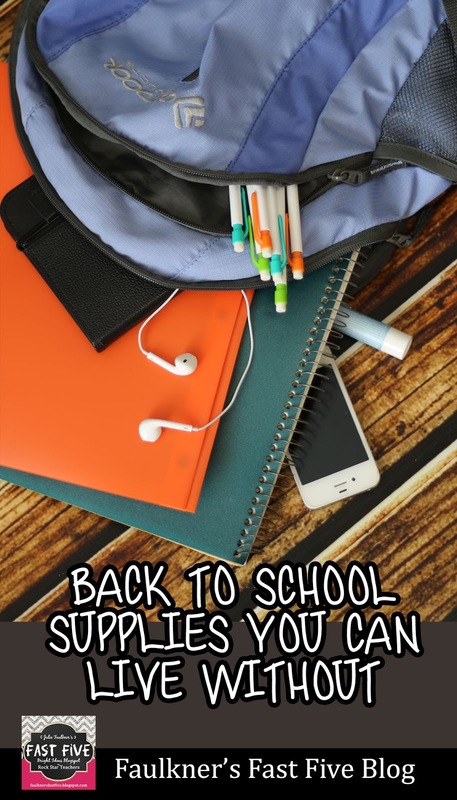 Share with me in the comments how you prepare for back-to-school! Today we are continuing on in the Classroom Success Formula Series. I am excited to be sharing today one of my favorite teaching strategies – Modeling. It isn’t new, but perhaps I can share a few new ideas that you might can use. the one profession that creates all other professions. to impart knowledge but rather to insight discovery. ‘nough said. trying on their own or processing. 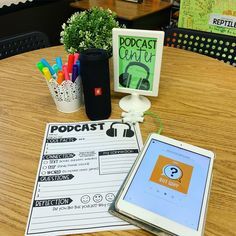 Here sometimes I do use a PPT, anchor chart, Activ Flipchart, white board, video, or guided notes. I just depends on what skill I’m teaching. good way to let them lead. time taking notes for formative assessment. short, entire constructed responses and branch out to larger pieces of writing. tried, but what they produced was not on point. leave the nest and fall to the ground. know how precious class time is. that tend to add more stress than others. 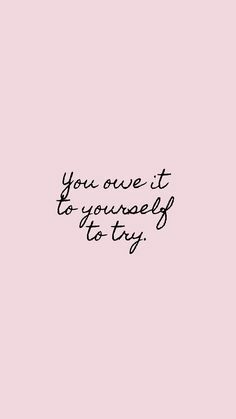 lesson for every single day from scratch. 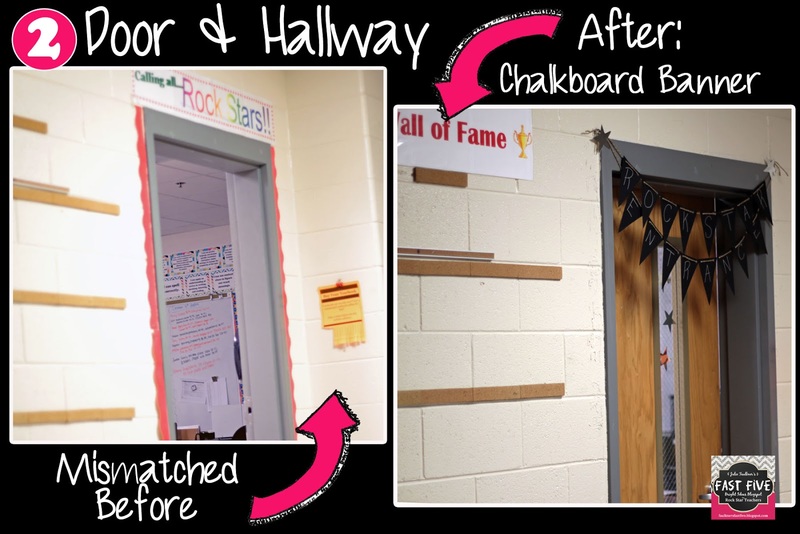 teachers have classroom-tested and tweaked. grass is always greener on the other side. “what ifs” to the “what is” will definitely provide more success than stress. takes into consideration that things change. at the game, or at home, or vice versa. are teachers – not robots. No one wants to be a slacker, but sometimes cutting yourself some slack can eliminate the stress. Maybe you can add to this list. I’d love to hear how you’re coping with the stress of school. Here’s to a healthy year! 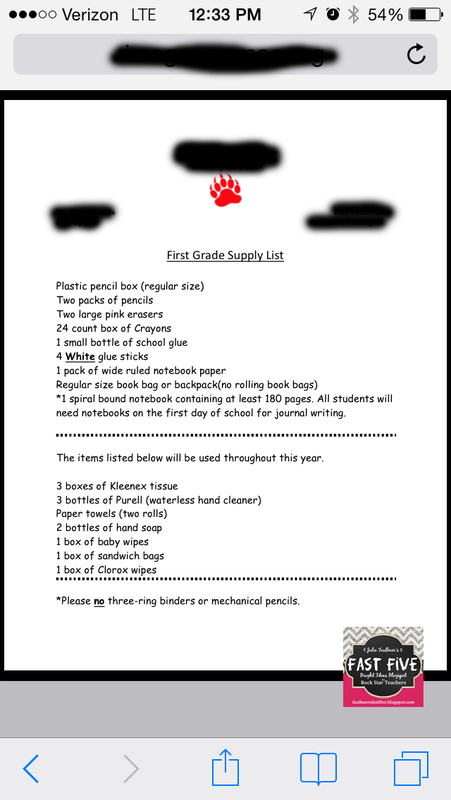 Last year I shopped with my niece and sister for 1st grade school supplies. My mom, sister, and I are all teachers, so we love back-to-school time. 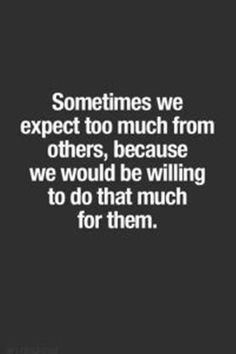 But that experience wasn’t at all what I expected it would be. My niece tends to be type A and on top of that, it was 1st grade, so she was super apprehensive. We went to THREE stores – plus my sister ordered some things from Amazon and made another stop looking for exactly everything on her list, and my niece was in tears worrying it wouldn’t be right. She’s in FIRST GRADE. She has eleven more years to go. Sigh. According to the National Retail Federation, the kindergarten to high school back-to-school supplies industry is a $20+ billion industry in the US. The Annual Back-to-School Survey conducted by the NRF found that the average family will spend $600+ on everything needed for back-to-school. In 2015, just over half of all students attending public schools in the United States are now eligible for free or reduced-price lunches, according to a new analysis of federal data. So what does that feel like if you don’t have that certain pencil or white – not blue glue. Isn’t glue, glue? In an effort to make everyone “alike” are we actually alienating? Community groups and churches are pitching in to help out because the problem has gotten so out of control. Last year, my mother (she’s the principal of a rural middle school in the district where I teach and live) decided to take some of her Title 1 money and provide ALL the school supplies for every student in her school. Teachers, too. A couple of other schools in our area are beginning to do the same. When people call her school and ask for the supply lists because they can’t find them on the stands at the local stores, they are incredulous when she says it’s taken care of. What a relief to know that $100+ can go to paying bills or other family needs. Not every school can do that, of course, and resources are certainly nice to have. Teachers spend a lot of their own money, too, gathering supplies for classroom activities and projects. Don’t get me wrong, it’s nice to have some Kleenex provided or notebooks for students to write down their daily grammar corrections in. 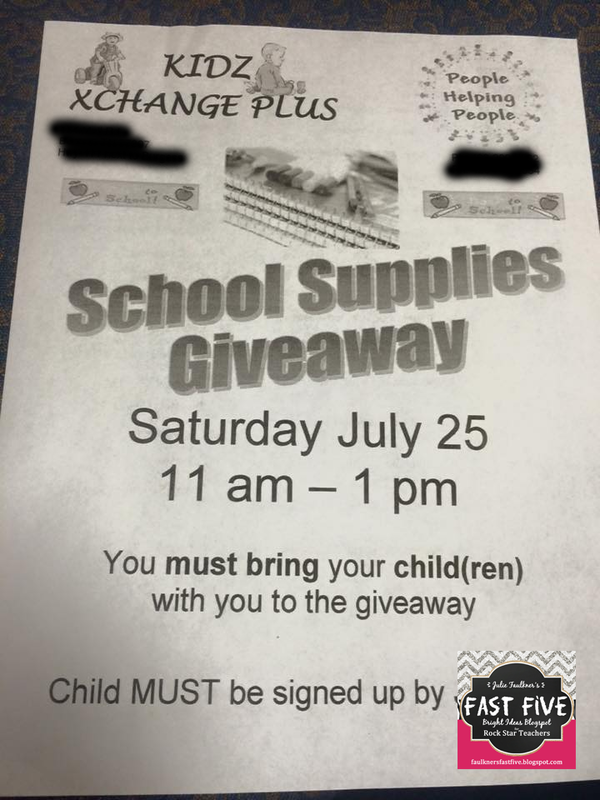 School does require supplies. 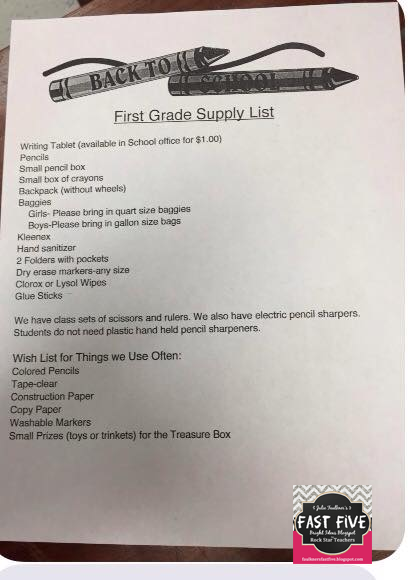 The problem, I realized when shopping with my niece, was the stress of finding the certain, specific item and the almost endless list of supplies a child would “need” in 1st grade. I think a realistic budget needs to be kept in mind. I’ve never required a lot of supplies in my own classroom, even when I taught in a wealthier suburban middle school, but over the years my paradigm has certainly shifted even more. I am very careful to use what I have wisely, to use pencils, to stock pile, to pick pencils up from the floor, recycle, reuse, re-purpose, and even clean lockers at the end of the year. 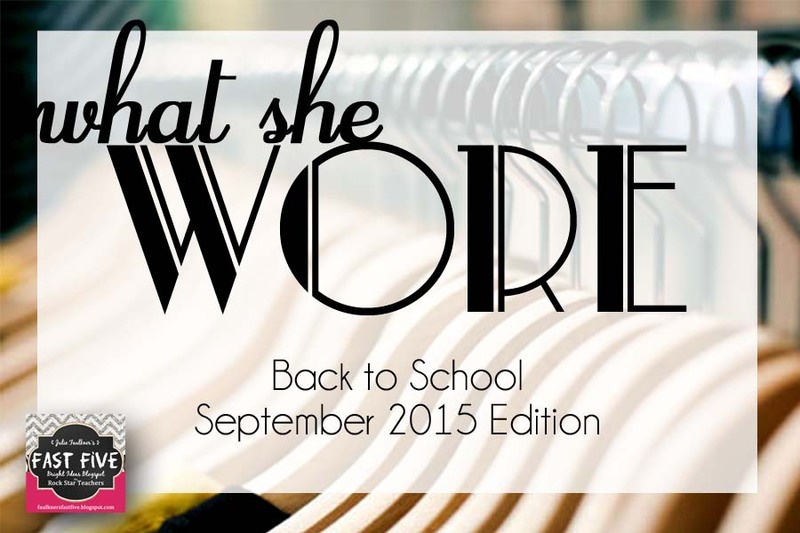 So – What do I want my students to have for back to school? Here’s my list: 1) Confidence, 2) peace of mind, 3) excitement, 4) energy, and 5) pencil and paper! 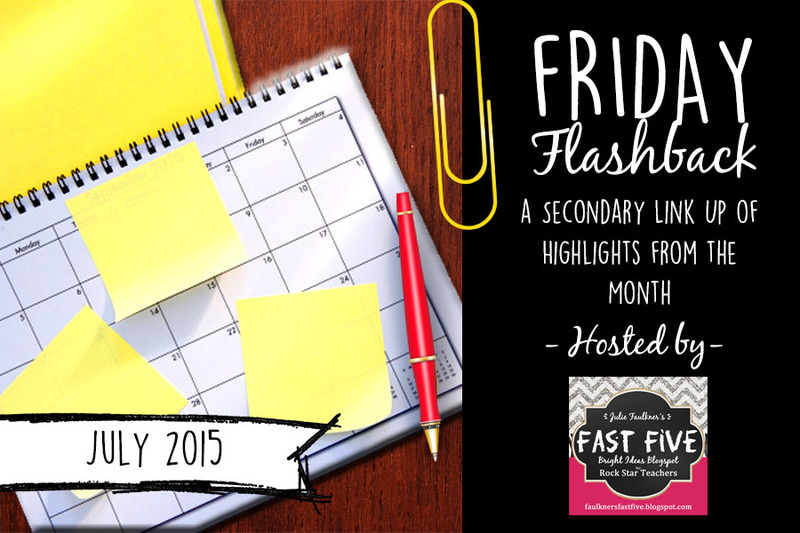 It’s that time again – Friday Flashback monthly reflection! I’m beginning to think this monthly blog linky is making the time go by faster – nah, but it really is flying by! As I sit here on my LAST week of summer break, I am lamenting as I say farewell to July. 1) VEGAS!! TpT Goes to Vegas, and I loved meeting so many people and presenting at the conference! 2) Classroom Set Up Ready to Go! I’m feeling like a “Rock Star” having it ready! See more pics from my post here! 3) I also did some organizing at home this month. I rearranged and cleaned up my craft/sewing room so I could use it as an office too at home where I can work instead of the couch, and my closet and shoe collection (it sounds more positive to say it that way) got a makeover. 4) I completed a huge grammar project that I needed for class, and I made it TpT ready. Hours, days, weeks, months….. but it’s done, and it will really help amp up my grammar and keep me organized and on track at school this year. 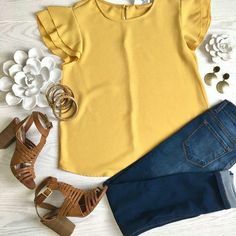 Find it here! – Write about some highlights from your month. It can be events, accomplishments, or a new product. It can be anything you want to share. I write in groups of 5 – for my Fast Five. – Once you have your post done, come back to my blog and link it up via the linky below! – If you want to link up next month, just watch for my post near the end of the month! Don’t have a blog, but want to get in on the fun? Just comment below with something to share from your July! It’s typically not a secondary kind of thing to do to have a classroom theme. And I certainly never have in all my years of teaching in 7-12 classrooms had an all-out classroom theme like, say, they do in elementary schools. However, I can say there is great value in having a “theme” of sort – even in a secondary classroom. I like to be super-organized, and a theme/scheme works well for me and the students. My theme is “Rock Star,” and on the first day of school we talk about what my theme is and we have a mini lesson on theme development. 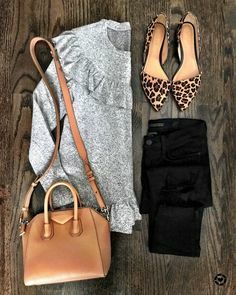 I chose the rock star theme because 1) I love music and 2) It sets the “stage” for how we are going to be “owning it like rock stars” every day. Yeah, that may be a little cheesy, but I love cheesy, and it really does work. I’ve had the rock star theme for several years now, but it was actually pretty “thrown together.” I hadn’t put much effort into the look of it in terms of cohesion or cuteness. It was definitely time to jazz it up a little. 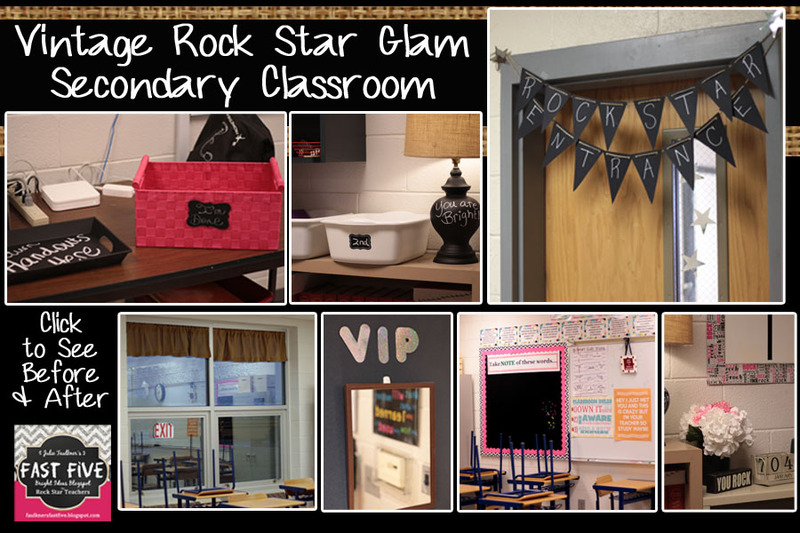 I love anything vintage, burlap, pink, and chalkboard, so I decided to put that all together for a shabby chic, glam rock star themed classroom! I had plenty of items in my classroom with “good bones,” they just didn’t match or have much style. I picked a few areas to make focal points of the room, and here are the results. These curtains could be done a couple of ways. I ordered these ready made inexpensive burlap valances from Amazon and hung them with spring rods. 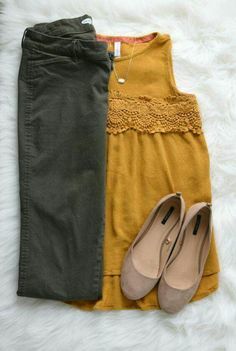 However, there are a number of tutorials out and about for making no sew curtains out of burlap. Everything is better with burlap! The door is, of course, the first thing students see when they come to your classroom. Like I said before, theme is very important in an English classroom, and we talk about it on day one. So, I wanted them to be aware of it right away – hit them on the head (literally!) Yeah, I did have to pull it up a little higher so my junior and senior boys could walk under it! This little area is much more functional now with the date blocks, sharpener, and journal buckets all in one place. Plus, now it’s all in one place nearby the weekly playlist of assignments, which I really want them to look at often! 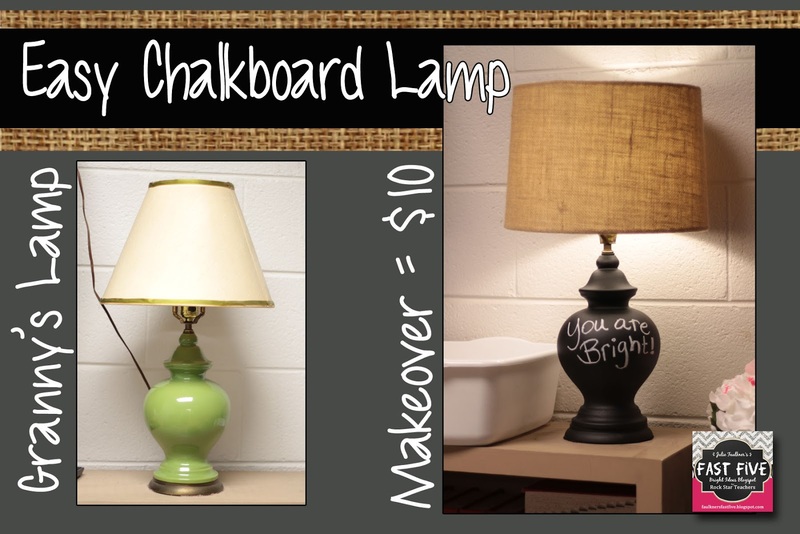 I’m so proud of my little chalkboard lamp. It was my granny’s lamp, and I loved having it in my classroom. However, it was green and the shade was dry-rotted. I found that ah-mazing burlap shade at Goodwill for $3.00!!!! After a coat of primer and some chalkboard spray paint, I had a shining jewel for about $10 bucks. Keeping with my Rock Star theme, I made song quotes chalkboard prints and hung them above where students store their bags. 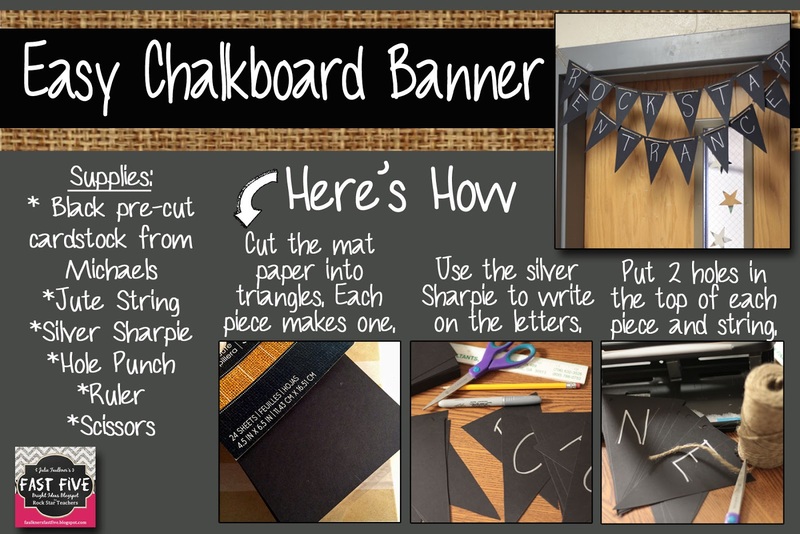 My bulletin boards are covered with black fabric (easier and more durable than paper) and fun layered border. I also smile every time I look at my mirror with the V.I.P. sign above it! 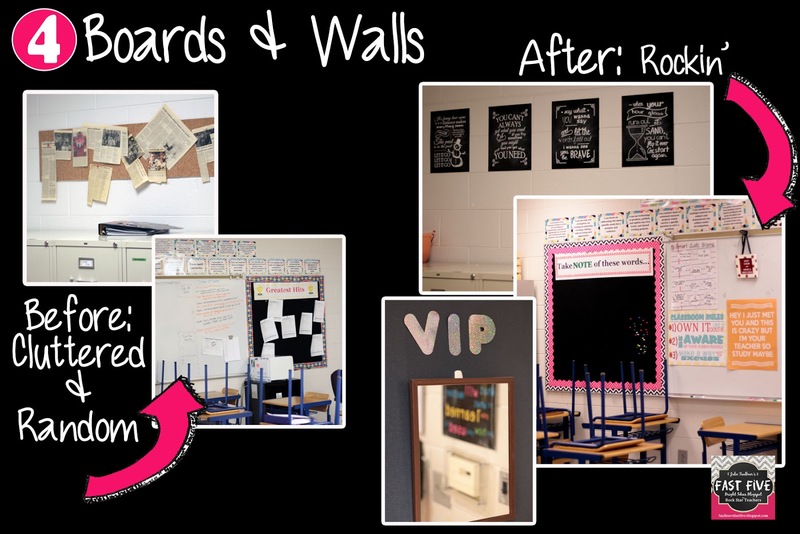 I do believe the best boards and walls are student-centered and low-maintenance. 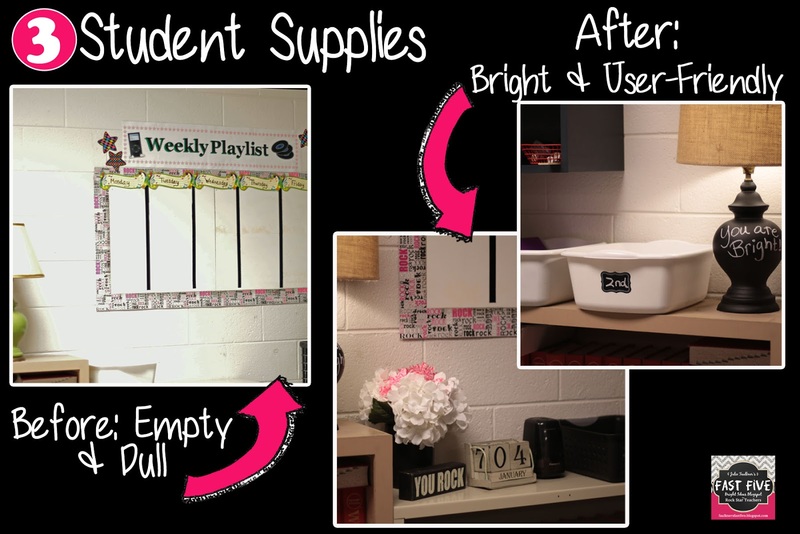 See my post on student-centered bulletin board ideas here! I inherited my podium from a teacher friend my first year of teaching! In its former life, it was a wallpaper stand at a paint store. How cool is that? It wasn’t, however, very fancy. I rolled on a couple layers of chalkboard paint, and now my students and I can write new quotes on it whenever we want! My “I’m Done” box also got a makeover. Here I wanted to add a little bit more pink to the room, so I just bought this durable basket from Michael’s. I used the rest of the chalkboard spray paint on the tray where students return handouts. It’s not perfect, but I think my classroom is ready — now onto planning. Teaching grammar and getting it all in on a block schedule in the spring semester is a challenge because time is limited. That’s due in part to frequent snow days, several dates for standardized testing, and just regular interruptions. Actually, time is limited no matter what semester it is or what your schedule looks like, and grammar is always difficult to teach. Nonetheless, there are standards we must cover before the final end of course exams or standardized tests roll around. Plus, if you are a writing teacher like me, you really just want to see your students’ grammar, usage, and mechanics improve. Grammar is one standard that must be covered, but it’s a huge umbrella encompassing so many skills that it becomes overwhelming to plan for. I could teach from bell to bell everyday with nonstop grammar and still not get it covered. Here are five classroom-tested ways I’ve found to cover all that grammar — in just 10 minutes a day! 1) Daily Proofreading Starters: On Monday, Tuesday, and Thursday, my daily starter is two sentences with various mistakes. I have those on the board when students come in, and they know to get started making corrections. I give them time to write the sentence as is, and then they go back and make corrections with a red (or colored pen). — Why do I have them write the sentences as-is? As we make corrections to the sentences, I am explaining rules and using proofreader’s marks to make corrections. I want students to be able to see the original mistake, how to fix it, and what the rule is. — Then, we go over the answers together, and I use that time to provide any additional instruction, explanation, or rules. It takes about 10 minutes each day. Students keep up with their corrections and notes in their folder from day to day. The sentences that I’ve written in my complete grammar curriculum are based on research from current events or provide information about authors, so there’s always something interesting to read about! 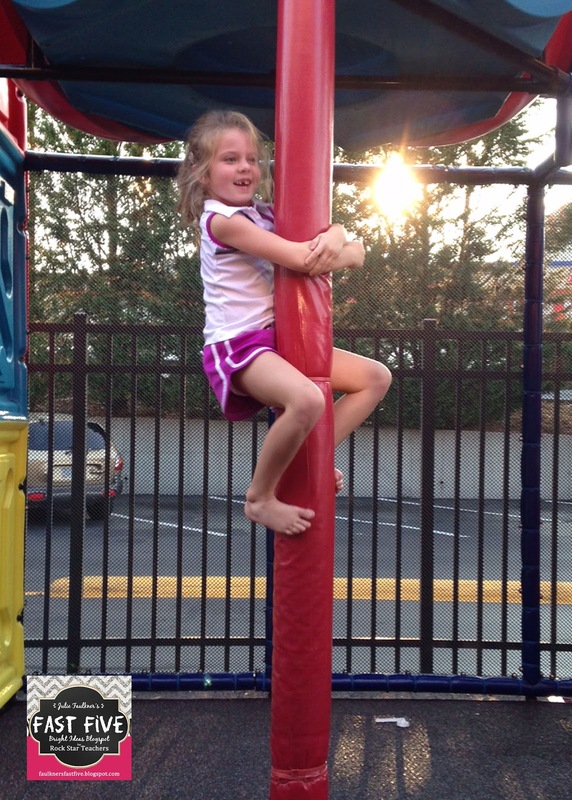 See a video of me doing these bell ringers “live” right from my classroom! 2) Flipped Classroom Videos: I recently discovered the value of the “flipped classroom.” I was aware of the idea but had never tried it. I hadn’t tried it because I just couldn’t really place an effective way to make use of it – until this year. My students struggle with grammar concepts, as most students do. They actually asked me for more lectures on grammar because they were concerned about the ACT. But, I just couldn’t devote large chunks of class time to PPT presentations of grammar. Even though they said they wanted more instruction and practice, I don’t really think they wanted that either. My solution was to try the flipped classroom concept. Each week on Tuesday afternoon, I send out a link to a grammar tutorial via my Google Classroom. You could also just send and email or use the Remind app. It is a short video over one skill. I encourage students to watch it as many times as needed and to take notes. We will typically work on the same skill or skill set for a few weeks but with a different video each time. So, where do I get the videos? I certainly don’t make them myself ;)! I once had a college professor say, “Work smarter – not harder!” All the videos I send come from youtube.com. Some of my favorite go-to channels are GrammarBytes, Shmoop, The Sentence Center, MrsBartonFWA, and MisterSato411. These weekly videos work pretty well for my juniors and seniors partly because most grammar has been covered by the time they get to me, so a quick refresher typically will suffice. Even with younger students, though, I could see the value in sending home the video link the day before a lecture to set it up. The more times they hear and see the information the better. My complete grammar curriculum includes links to the videos that I’ve carefully curated and collected over the years. 3) Worksheet Wednesday: Students need regular practice with specific, isolated skills. I like the idea of a skill-drill to give students specific practice. These worksheets are unlike the daily bell ringers, which have a random selection of mistakes. Each Wednesday when students come in the room, they have a grammar worksheet to pick up and do as a grammar drill for the day’s starter. It’s timed (10 minutes), but they can use their notes that we’ve take in class or from last night’s video. The worksheet usually has some notes at the top and examples for that skill. This way students can give their attention to that skill and work through examples of all the rules associated with that skill. The skills that I’ve included in my grammar curriculum were selected primarily from the skills covered on the ACT. 4) Weekly Quizzes: Weekly quizzes go hand-in-hand with the daily proofreading starters. Yes, students may see a question from the skills worksheet, but mostly the questions from the skills we covered in the bell ringers. That is because it’s during the bell ringers that I’m giving the most instruction and rules. Plus, just like on the ACT – the skills are all mixed it, so I want these quizzes to simulate that experience. When I first started doing the daily proofreading, I was collecting notes and notebooks and giving credit for that. It was cumbersome and so time consuming, and I realized I wasn’t actually assessing if students knew those grammar skills we had worked on all week. I was just measuring if students could take notes and keep up with them! At that point, I started making multiple-choice weekly grammar quizzes. The task was huge, but after several years I had a nice compilation. Since they are multiple choice, my students can take them on the ActivExpressions or Scantron, and that makes easy grade recording for me. We take the short 5 to 6 question quizzes on Friday, and go over the answers immediately. I spend time discussing why one answer is correct over the others, and then students take time to chart their scores and make notes on strengths and weaknesses. It’s a 10 minute time commitment, and students often report increased scores on ACT after having worked through the daily starters and weekly quizzes. 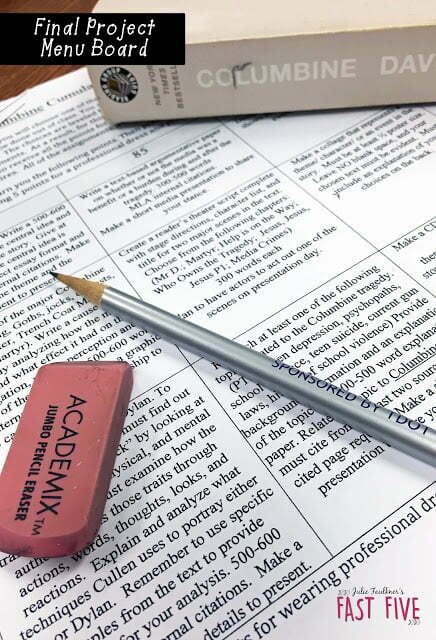 Try my student data pack to track students’ weekly grammar quiz scores. Now available is my complete grammar program with daily grammar proofreading sentences, the video links I use, rules, worksheets, and daily quizzes. Another way to sneak in a little more grammar in a fun, interactive way would be with any of my creative grammar games or real-world grammar fails task cards!